Charles was born 21 September 1890 (birth certificate number 1890/12832) in Aratapu in the northern Kaipara region. His birth was registered in Helensville. L. Corp Charles Stanaway – Tides of Time. We do not have any information on his child-hood, no doubt it was similar to his older siblings. The first record we have on Charles is that on 5 May 1909, aged 19, Charles marries Millicent Mildred (Lilly or Millie) Featherstone (aged about 17), in Auckland. (Marriage Certificate unknown). Millicent is the daughter of James Featherstone, a Contractor, and Elizabeth Corbett and was the sister of Muriel Featherstone who marries Charles’ brother Montrose. She was born in New Zealand about 1892. “VALUELESS CHEQUES – AN ADVENTUROUS COUPLE – SHOPKEEPERS VICTIMISED – MAN AND WOMAN ARRESTED – The adventures of a young man and his wife have been engaging the attention of the police for some time past. It is alleged that the couple have been pawing valueless cheques, taking unconsidered trifles from boarding houses, and flitting from hotel without paying their board. .
Their doings first came to the notice of the police at the end of August. They stayed, it is said, for a day at a boarding house in Carlton Gore Road. At this house a nurse was lodging, and kept all her valuables in a dressing-case. The nurse came home one evening, and found that the dressing-case, containing jewellery and other articles, to the value of £10 was missing, and that the interesting couple had also disappeared. Next day the dressing-case was discovered by the police in a pawnshop. The couple were then, lost sight of for nearly three months. The next time they were, heard of they were staying, it is alleged, a week or two ago, in a house off Symonds Street, under an assumed name.” Here they stayed, for nearly a week, and on leaving, it is stated that they took with them various articles as souvenirs of their visit, and also forgot to pay for their board and lodging. Then they appeared at Papakura, where, it is stated, they stayed under a new name at the chief hotel in the district. Here, according to the police information, they launched out into the valueless cheque business. Obtaining three blank cheques from a storekeeper, it is alleged that they took a trip to Clevedon, and got a pair of breeches from a storekeeper there, giving him a cheque filled in for a much larger amount than the cost of the breeches, the difference being handed to the purchasers. Next they induced a Papakura land agent to drive them all round the country in search of a desirable homestead, and finally picked on a farm that would suit them to a nicety. Next day they left Papakura, and again, it is alleged, forgot to pay for their board. Onehunga was the next place to be visited, and the couple stayed at a hotel there, borrowed a buggy from the proprietor, and took several trips to the country districts. On one of these occasions they went to Otahuhu, and it is alleged bought a coat from a tailor there, paid for it with another cheque, and duly received the change, at the same time ordering more stuff to be sent to an address in Newmarket. They duly visited Newmarket, and it is alleged that at a store there a lawn-mower was bought on behalf of a well-known person in Orakei, the third cheque, filled in for a fairly large amount, being tendered as payment. This cheque purported to be signed by the Orakei resident. The supply of blank; cheques was now exhausted, but it is stated that the couple obtained a fresh supply from a grocer in Parnell, and that these were filled in for much larger amounts than the others. One of the cheques, it is alleged, was cashed by a storekeeper at Onehunga—where another lawnmower was ordered —and another at Ellerslie. Detective Halk has been in pursuit of the enterprising couple, and after great trouble and search located the persons who are alleged to be the principals in the adventures mentioned, at the Manukau Hotel, Onehunga, where, with the assistance of Constable Smith, he arrested them late on Friday night. The names of the persons arrested are Charles Victor Raymond Stanaway, 26 years old, a quarter-caste Maori, and his wife, Mildred Stanaway. They were charged at the Police Court, on Saturday, with the theft from the dwelling of Mrs. E. Scott, on July or August last, of a dressing case valued at £5 5s, the property of Kate G. Heenan, and also with forging a cheque for £6 2s, purporting to be signed by F. Coates, and causing Ellen Robertson to act upon it as if it were genuine. Chief-Detective Marsack asked for a remand, until December 1. There would, he paid, probably be several other charges, but the accused had been arrested only a few hours before, and the police needed time to go into the matter. Stanaway asked for bail, saying he had never previously been before a court, and that he came from the Northern Wairoa. So Charles is sent away, and Mildred stays with her mother-in-law which at this time would have been 69 Symonds Street, Auckland. On 16 November 1915, Charles enlists in the NZEF – 10th Reinforcements Auckland Infantry Battalion, A Company, he states his occupation as a carpenter, and his address as 69 Symonds Street, Auckland. He is 5 feet 11 inches, 12 pounds, complexion dark, eyes grey, hair dark brown. By this time he must have received word from Millicent that she was pregnant and that he would soon be a father, one could only imagine the range of emotions he must have been going through with this news. He joined his unit on the front on 11 July 1916 just before one of the major battles on the western front, the Battle of the Somme. 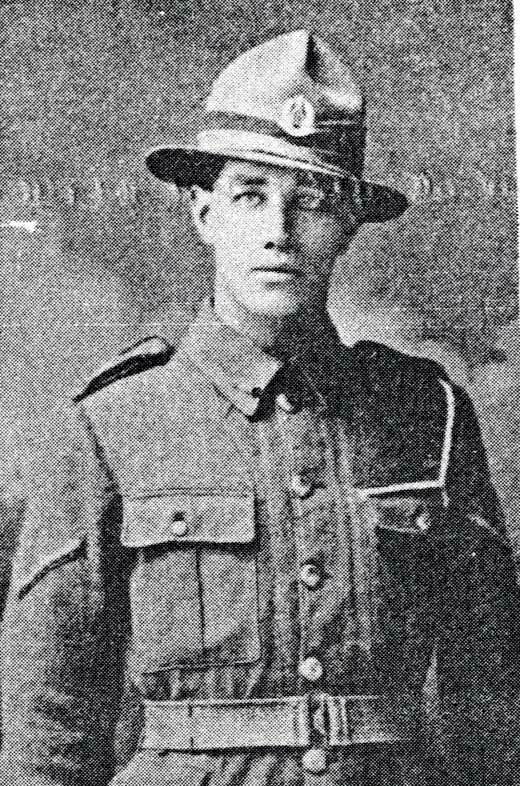 During the New Zealand troops first engagements of this battle Charles is wounded and subsequently dies of these wounds, the date was 26 September 1916, sadly shortly after his 27th birthday. 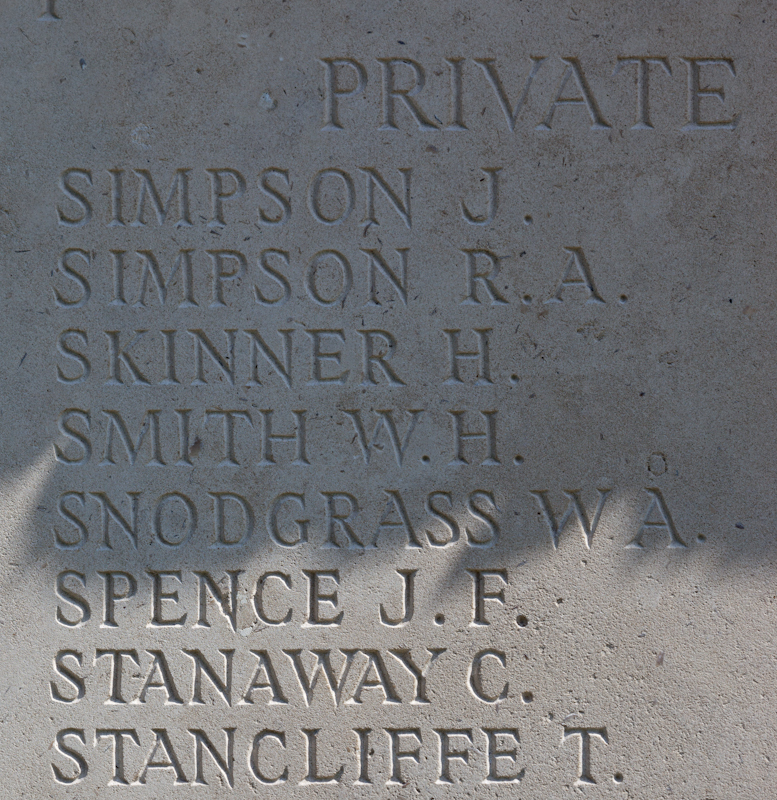 His name appears on the stone wall at the Caterpillar Valley WW1 Cemetery (Death Certificate number 1918/24388). 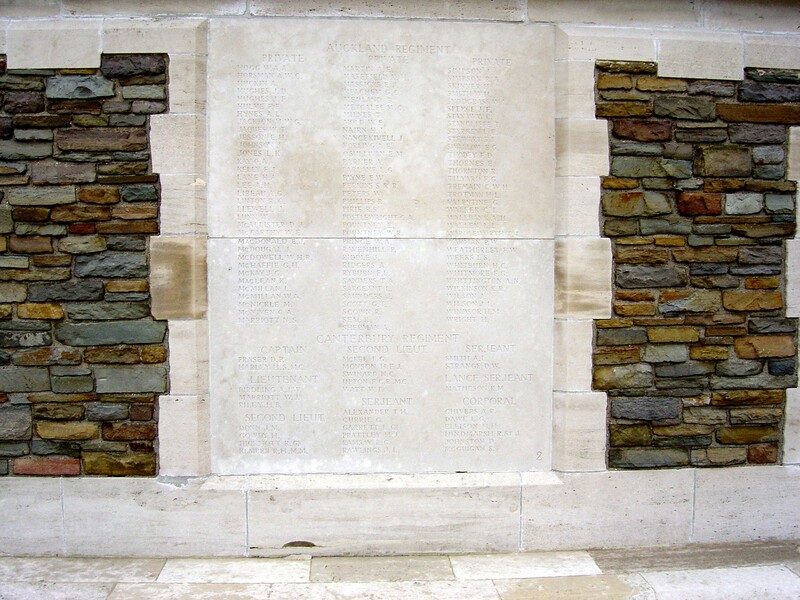 Memorial Close up – Caterpillar Valley France. In December 1916, approximately 3 months after his death, his son is born and named Charles we can only assume after his late father. 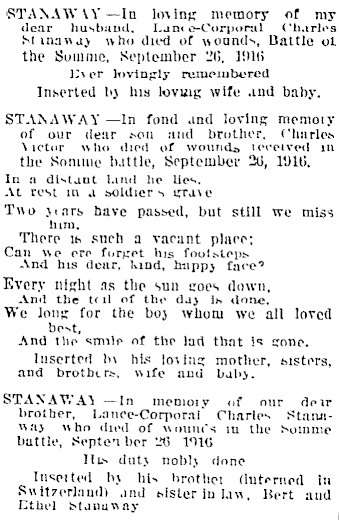 “In fond and loving memory of our dear son and brother, lance Corporal Charles Stanaway, died of wounds in the Battle of the Somme, France, September 26, 1916, aged 27 years. Deeply regretted. Nameless his grave on a battlefield gory, Only a cross over a mound of brown earth, Dead, in the pride of his youth and his glory, far from his home and the land of his birth. None near to morn him, save willows that weeping. Bend over his grave, where the leaves in the fall, Cover a mound where a soldier lies sleeping, Waiting to answer his final roll call. Charles appears in numerous “In Memoriam” inserted by his parents, brother and sisters, his death by all accounts hits the family hard, even though they had lost other siblings, we suspect that Charles may have been a popular member and so sorely missed. In the Auckland Star on 26 September 1918 there were a series of notices – including one from his brother Albert (Bert) in Switzerland. Millicent remarries and has five children with her new husband, the son, Charles adopts his stepfather’ surname, and they live in Takanini, Auckland.